Morrissey’s voice blasted from the old speaker of the car. Everyone in the car was singing along to the song, and by everyone, I was talking about her and me. There were only two of us. Two of us and an almost empty highway. 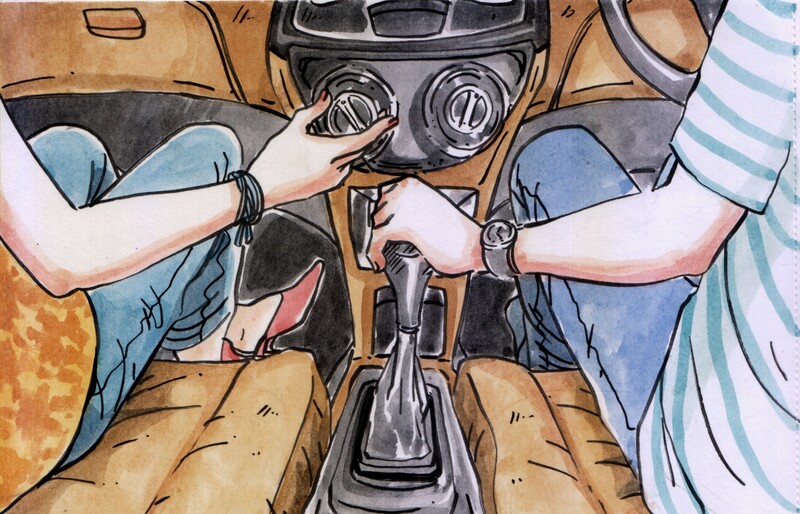 “Do you consider dying by my side to be a heavenly way to die?” asked her breaking the noisy silence in the car. She closed her eyes. I leaned my head, getting it close to her face. Then, in a moment that feels like a hundred years, we kissed. The speedometer was pointing to 100km/h, and the highway was almost empty.